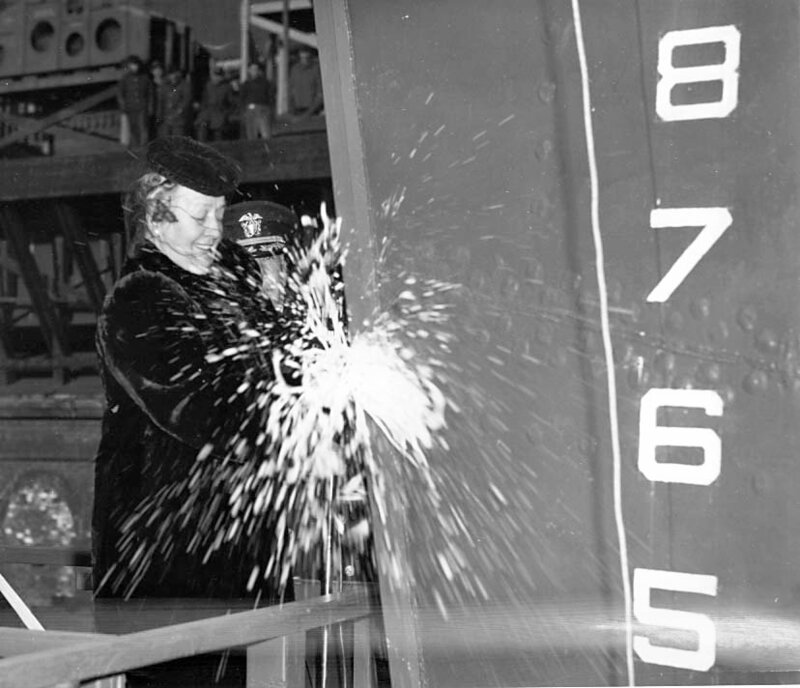 18 November 1943: Keel laid by the Boston Navy Yard, Charlestown, Mass. 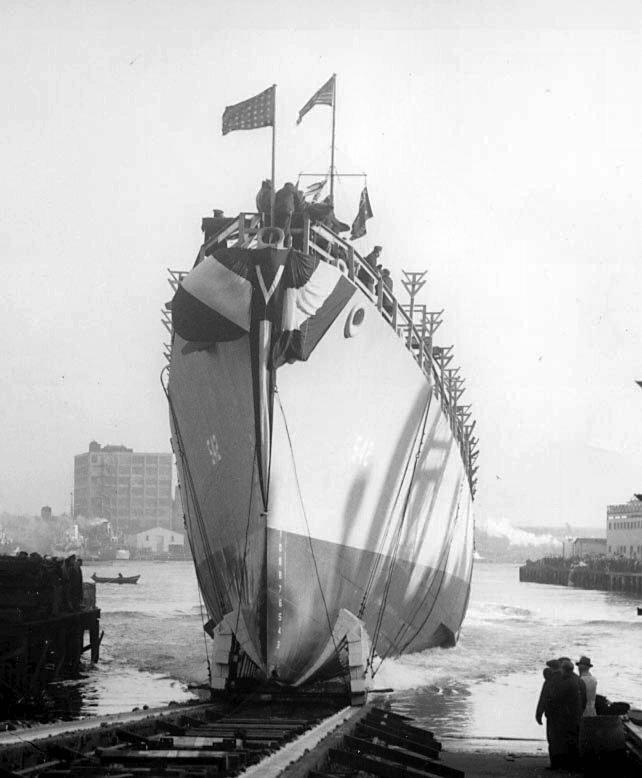 2 July 1946: Hull sold for scrap on to John J. Duane Co., Quincy, Mass. 17k Oswald Aaron Powers was born in Marine City, Mich., on 25 November 1915. He enlisted in the U.S. Naval Reserve as a S2c, V-5, USNR, on 6 November 1940 at the U.S. Naval Reserve Aviation Base Grosse Isle, Mich., and was placed on inactive duty that same day. Reporting there for elmination flight training 15 November, he completed instruction on 14 December, and was retained on active duty. Appointed aviation cadet, USNR, on 5 February 1941, he was transferred to the Naval Air Station, Pensacola, Fla., on 6 February, and was discharged 9 February to accept his appointment as aviation cadet. 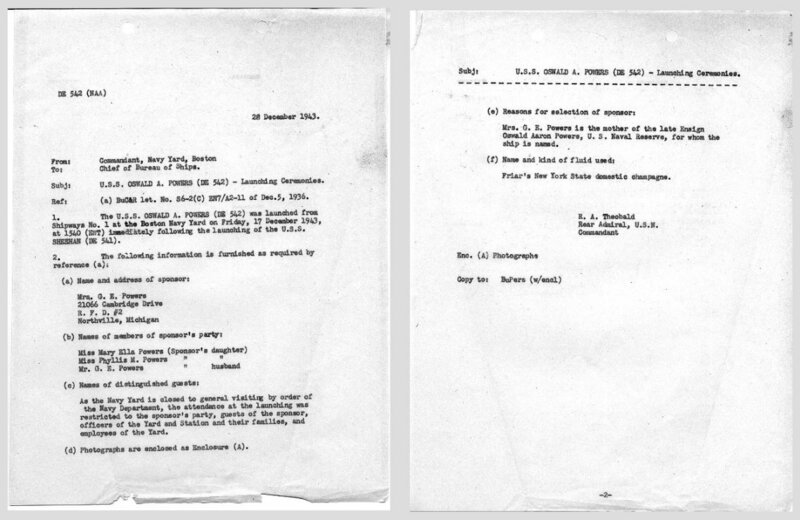 Reporting to NAS Pensacola on 10 February 1941, Powers accepted his appointment the same day. Detached on 15 July and transferred to NAS Miami, he was appointed a naval aviator on 12 August 1941. Released on 5 September, he reported to NAS Miami that same day as an ensign, A-V(N), USNR. On 10 September, he was transferred to the Advanced Carrier Training Group, Pacific Fleet, at NAS San Diego, Calif., reporting on 3 October. Detached from NAS San Diego on 4 November, he reported to Torpedo Squadron (VT) 3 on 5 November. After the torpedoing of Saratoga on 11 January 1942, and her departure for repairs at Puget Sound, VT-3 was based ashore, first at NAS Pearl Harbor, at Ford Island, T.H., standing alert duty for island defense, then at NAS Kaneohe Bay, whence the squadron trained and continued to stand alerts. On 30 May 1942, assigned to the air group of Yorktown (CV 5), replacing VT-5, VT-3 flew aboard as the carrier sailed to participate in what would become known as the Battle of Midway. On 4 June 1942, Yorktown launched VT-3, and Bombing Squadron 3, covered by fighters from Fighting Squadron 3, to attack the Japanese carrier force in concert with a strike from Enterprise (CV-6) and Hornet (CV-8). Circumstances, however, dictated that only theYorktown Air Group attacked as a unit, with VT-3 the last of the three torpedo squadrons to execute their brave low-level attacks. Japanese Zero fighters, however, overwhelmed the six-plane VF-3 covering element, and, in concert with heavy antiaircraft fire from the carriers and their screening ships, splashed ten of the twelve of VT-3's Douglas TBD-1 Devastator torpedo bombers. Ens. Powers and his radio gunner, S2c Joseph E. Mandeville, perished in the attack. 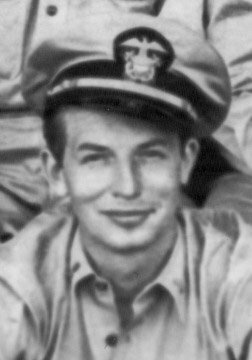 Powers was awarded the Navy Cross (posthumously), for his "self-sacrificing gallantry and fortitude...in keeping with the highest traditions of the United States Naval Service..."
83k 17 December 1943: Boston Naval Shipyard - USS Oswald A. Powers is christened and launched by Mrs. Ella M. Powers, mother of the late Ens. Powers. 60k 17 December 1943: Boston Naval Shipyard - USS Oswald A. Powers enters the water for the first time after being christened.